The Oklahoma City Thunder have made a complete turnaround in their Western Conference Finals matchup with the San Antonio Spurs. Young rookie Steven Adams has made big contributions defensively but he&apos;s also shown some solid skills offensively around the basket. 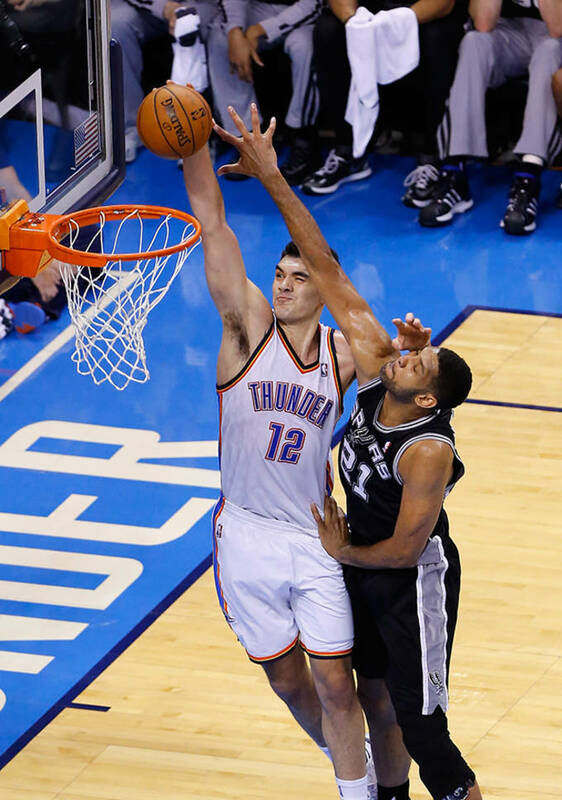 Adams showed that when he absolutely posterized Tim Duncan on a nice feed from Serge Ibaka. The dunk had Duncan taking a walk of shame down the court. Adams wore the adidas Crazy Shadow 2 for this game and has been in the Crazy Fast 2 as well throughout his first year in the NBA.